Payment Date – Within the first 2 days of the month. Payment Methods – Bank Wire, Neteller and Skrill. Sub Affiliate Commission – Up to 5%. 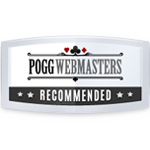 Full Cream Affiliates offer multiple venues that are well managed and have a good reputation with players. Their reputation with affiliates is good, they offer affiliate friendly terms and conditions and they offer a competitive revenue ladders. There are many good things to say for affiliates choosing to work with this program.